I've had a new regulator for the drivers side window for 5 years......! Here are the photo's of the interior as promised. Many thanks for the commentary on the car and the images - great to see it and to find yet another of these cars in long-term ownership. Code 716 is described as 'M-Technic rear spoiler' and as far as I know was fitted to all GB Cars (as per post to kees above). I venture that the spoiler on 143 has been added, like the M-Technic aero kit. The M535i's all had this kit as standard (though in the early days it was possible to delete it and then along came the 535iSE model in its own right). I have just checked the spreadsheet which shows that 45 of the 187 GB-spec cars were ordered with the M-Technic kit from the factory, i.e. just under 25%. I'm new here, I read this whole thread this past Sunday and it was very interesting. I own one of these cars... I think!!! At least that's what the gentelmen that runs the M-registry is telling me. I own an 88 M6, U.S. car and, BTW I've been to BIGCoupe.com and told my story but nobody seemed to show any interest. 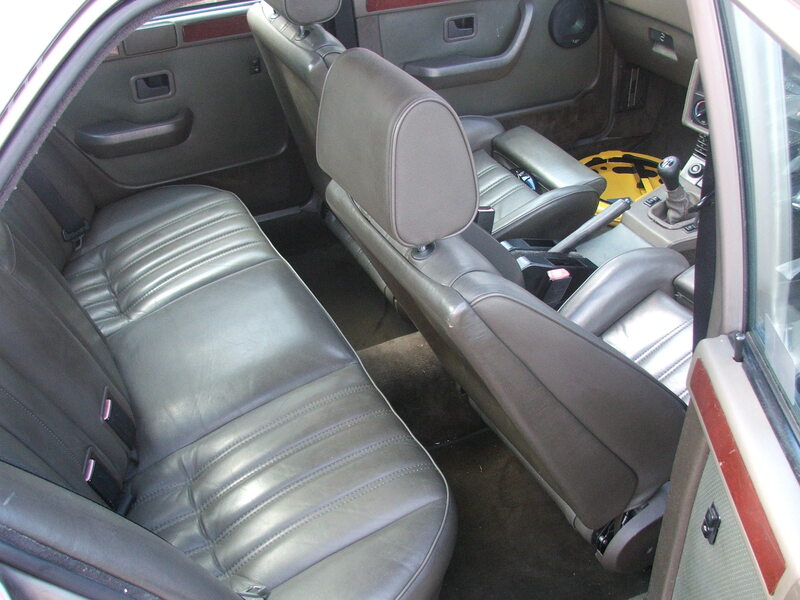 The story with my car is that it has a black highline leather interior, exterior is black also. Not including euro cars of course, the U.S. cars... imported in 87, 88, and 89 were not available with black leather, only in Canada and, that was only the halfline. I was told by the gentelmen from the M-registry who had my build sheet run up with my vin#.... that approximatly 6 late in production 88's and 89's were built with the black highline Nappa leather. He says mine might be the only 88, and the rest being the 89's. However, after speaking with him... later on I did find one other 88, I'm assuming original...4sale in the BMWCCA Roundel down in Tennessee. But that was the only one. The M-registry was not able to tell me the reason why, special order or what? 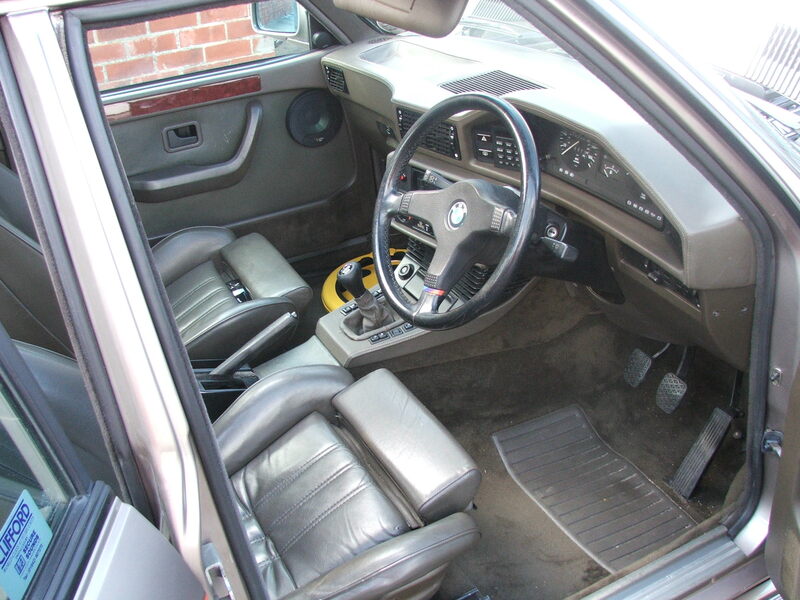 He was not even aware of these interiors until I brought it to his attenion, and I think he Know's rare BMW's....He own's a one off colored Canadian E-34 540i, the one that's got the M-suspension and do-dads but not the motor... Canadian market only. I realize this thread is old, but maybe this will spark some interest again and maybe somebody will have something to ad. becuase this thread got my interest going again. Last edited by BacknBlack; 10th March 2009 at 05:46 PM. Best of luck with your research ......hopefully a couple of the 6 series afficionados on here will be able to help !? Yes thanks, over the weekend I may try to contact Alex from the M-registry and try to find out how I can authenticate.... if that's the proper term.... my M6! I'm more curious about how many others exsist actually, he says 6... but I would like to confirm! Also I wished this site had a dedicated E-24 message board! We had one but regrettably too quiet. Even the E28 M5 owners are quite a small group. Agreed Kees ......I regularly click on here to find no change and get really excited when a new , interesting , thread appears ! I'm afraid I have no information on the M635CSi. 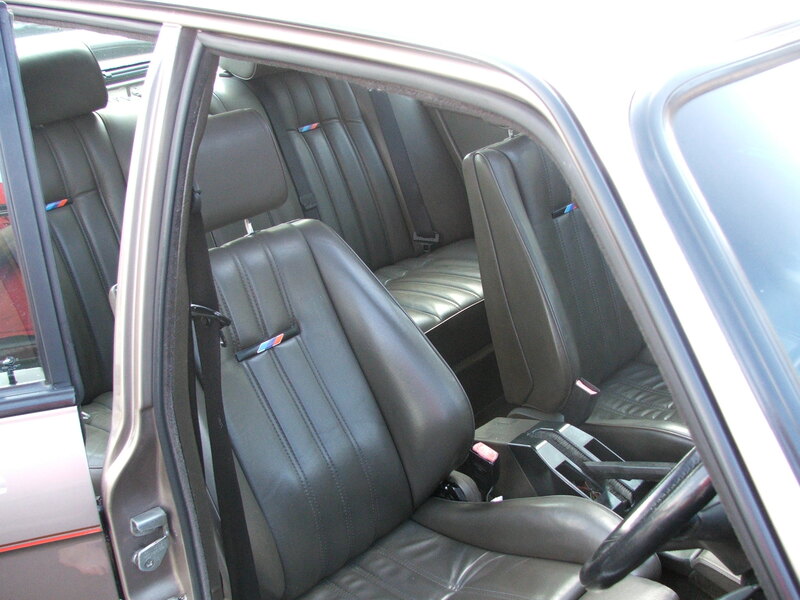 However, it seems that there are a few NA-market E28 M5's with the same colour scheme as your E24. It wouldn't surprise me to find that there was some boring production reason for this, even if only to use up/balance stocks of parts ordered from suppliers....or maybe the opposite was true, the natural hide was out of stock. Twenty years later these cars are sought-after! I'm sure Alex is the man to validate your car. It's strange how the European market (E28) cars were a complete mix of specifications whilst the NA-market cars were highly standardised. Obviously a marketing thing: perhaps it made them more 'visible': no doubt someone out there knows all about marketing and has a good answer! I mentioned that I have confirmed with Alex on one of these threads, I forget where.... that my M6 is the sixth to the last built for NA, back in 07 he ran the build sheets on the last 7 M6's. The last three were 89's, I can't remember rite now.. but the only 89's ( only three 89's wre built) were sent to Canada, they are also in the registry. A Bronzite ext. blk intr. .... and a White ext. (last and only white one to be bulit for NA) with blk intr. - and I can't remember the third one. Alex's reasoning, he thinks was that they were going to try different options for 89's models - My M6 got lucky being there towards the end I think- just before pullig the plug on the M-versions of the 6 and ultimately the series. For some a dark day... for us it just means a very rare amount of units$$$$. Do you remember that BMW riembursed customers $1,500.00 for building more M5's than they promised... that might have been US only not sure. As far as the stock piles of extra parts, i don't think so... someone knew the end was near for the 6. 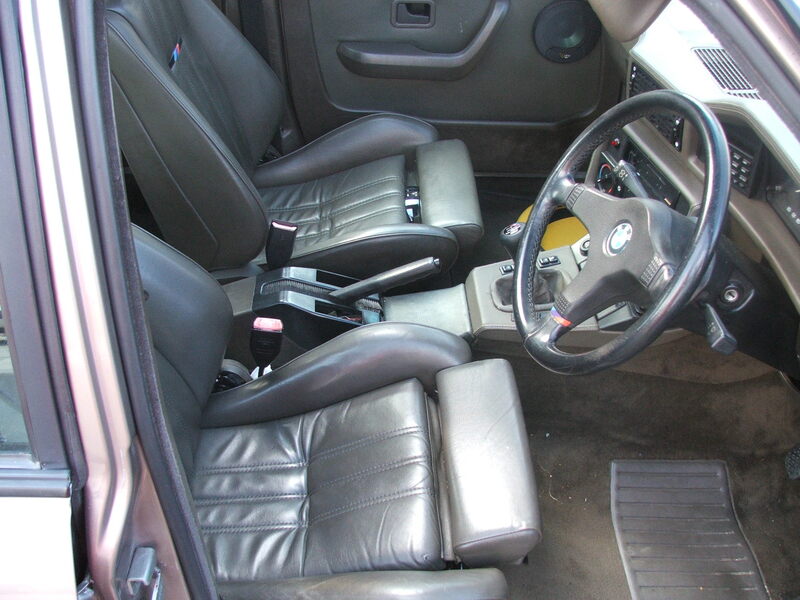 The only interchangable interior parts w/another bmw were the 2 front sport seats... every other int. part was unique to the 6. You are definitly on the money as far as the E-28. What's cool about you guys in the UK is that you could pull up some where and no-one would know the beast lurking under the plain wraper. In the US... the all black trim was a dead give away.